Recently I received an invitation from a missionary friend to a meeting to share the results from a recent trip. The event will be hosted by a church we previously attended. While I would like to support my friend, I am not welcome to attend any event at that church. I had to decline the invitation because of where it is to be held. My emotional reaction to the invitation surprised me a little. It has been four years since we left that church. I have forgiven those that hurt me and I thought that my experience there was safely in the past. What I learned from the invitation is that while the pain is no longer acute, it is still there. I find that like the wound Frodo received on Weathertop, the pain never completely goes away. Church wounds run deep. My point is not to lash out at the former church. My purpose in sharing this is three-fold. I want to encourage leaders to examine the reasons why people leave their churches. If there is a pattern of people feeling wounded when they leave, then something is wrong and it needs to be addressed. It is your responsibility as a leader to figure it out and allow God to bring correction. You, as leaders, will be judged by how well you have nurtured those under your influence. Here is a quick test: do those who leave your church feel welcome to come back? I want to encourage those that have been wounded in churches, that the wounds they received also grieve the heart of God. Note that it was religious leaders who initiated the crucifixion of Jesus, so he fully understands the implications of leaders abusing their positions. The Old Testament prophets had a lot to say about the religious leaders of Israel who failed in their commission to shepherd the people of Israel (Ezekiel 34 comes to mind). 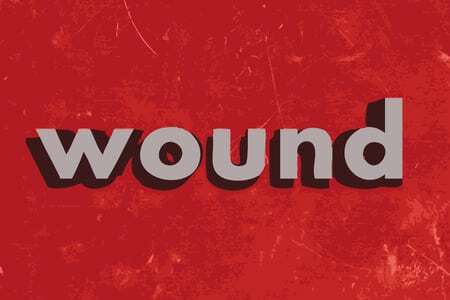 I want to encourage those that have been wounded in churches, that while the wounds run deep, finding a good church does a lot toward relieving the pain of the bad experience. There are pastors who take seriously their calling to minister to their congregations and who lovingly care for God’s people. Find one. On the bright side, much of what I now believe about what the church should be was shaped by that horrible experience. The pain caused me to seek understanding from Scripture about how the church should function and how spiritual leaders should act. An overwhelmingly negative example forced me to look for a positive one. If you have been wounded by a church, please do not stop trying to find a church with leaders who are serving both God and his people. They are out there and they will one day be greatly rewarded for their service. Feel free to share your experience in the comment section below. I’d love to hear from you. The problem is that I can maintain an intellectual understanding of Jesus’ teaching while I fail to live it out. I can easily rationalize the gap between what my head understands and what I choose to live out.